Sorry, our Segway Sessions cannot be booked online – but please ring 01536 791371 or email anne@willowsnursery.co.uk with details of your group and when you would like to book and we can check availability. We offer morning and afternoon sessions on weekdays and weekends. (Generally from March to late Autumn – subject to the weather and ground conditions). 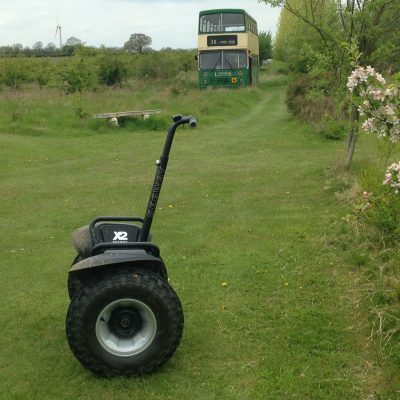 Please visit our Segway pages to see our Terms and Conditions and more information. PLEASE ENSURE that everyone included in your booking is able and willing to comply with the Terms and Conditions on our website – particularly with regard to age, weight and medical conditions – to avoid disappointment.